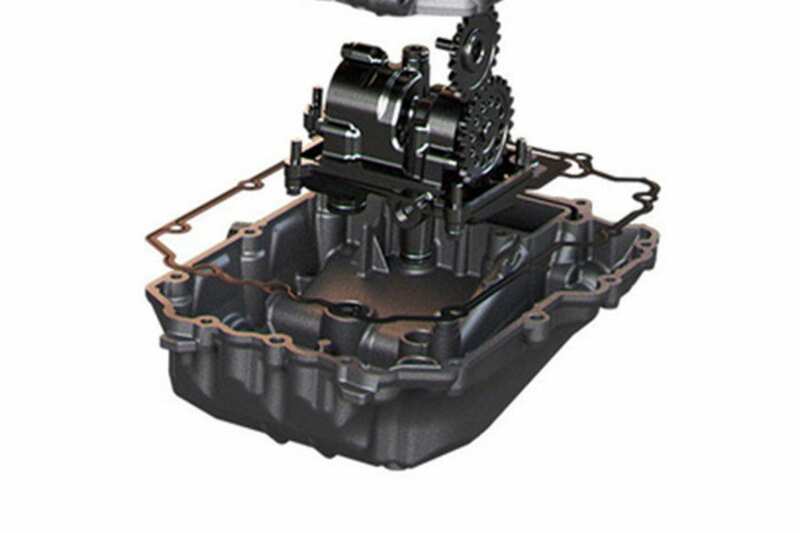 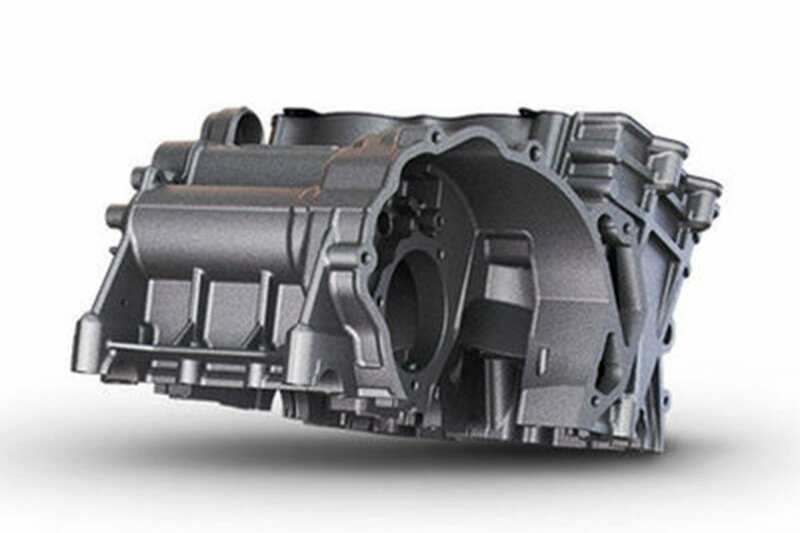 The 6-speed sequential gearbox’s stacked configuration reduces engine length, which enables it to be more compact. 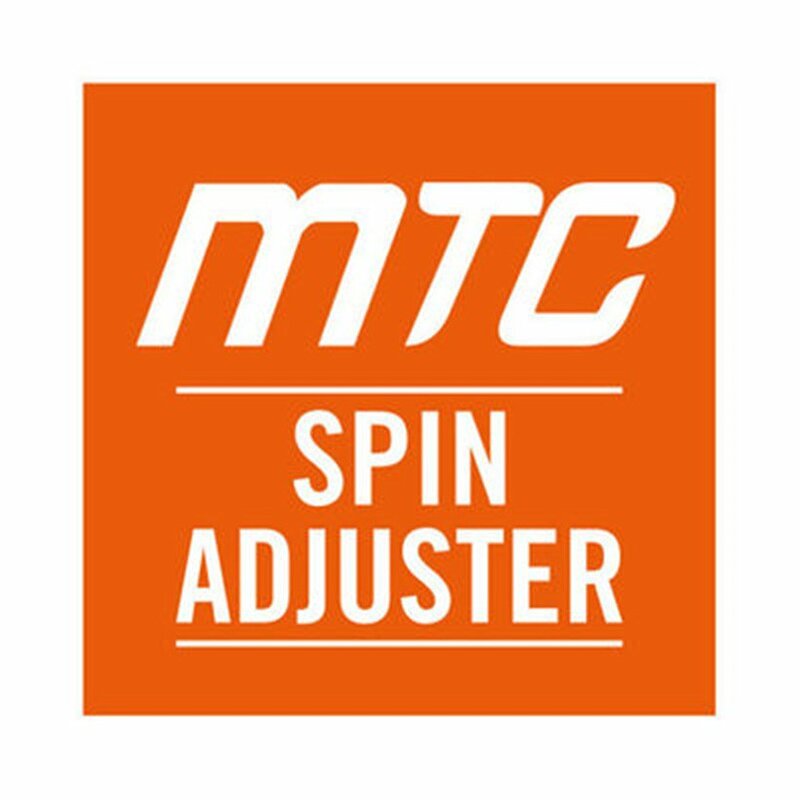 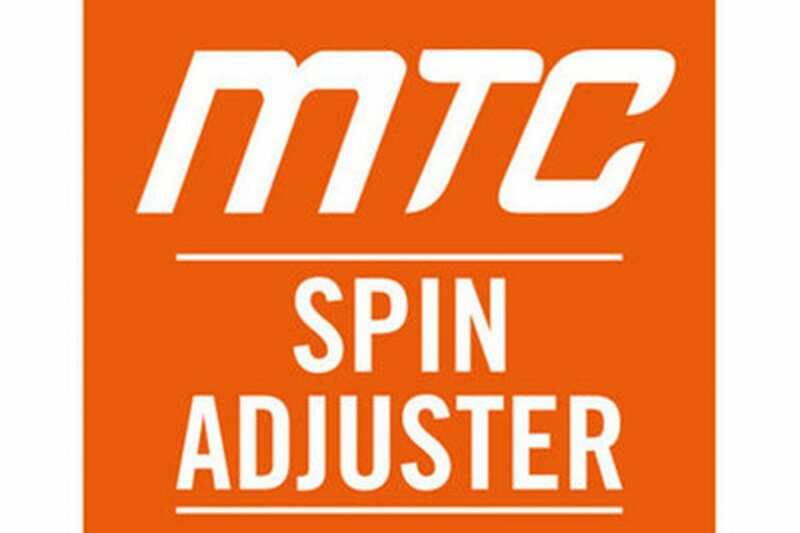 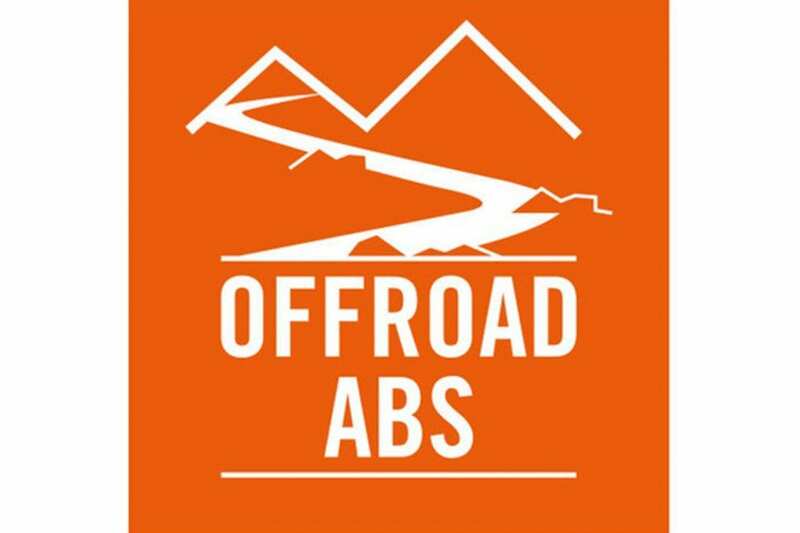 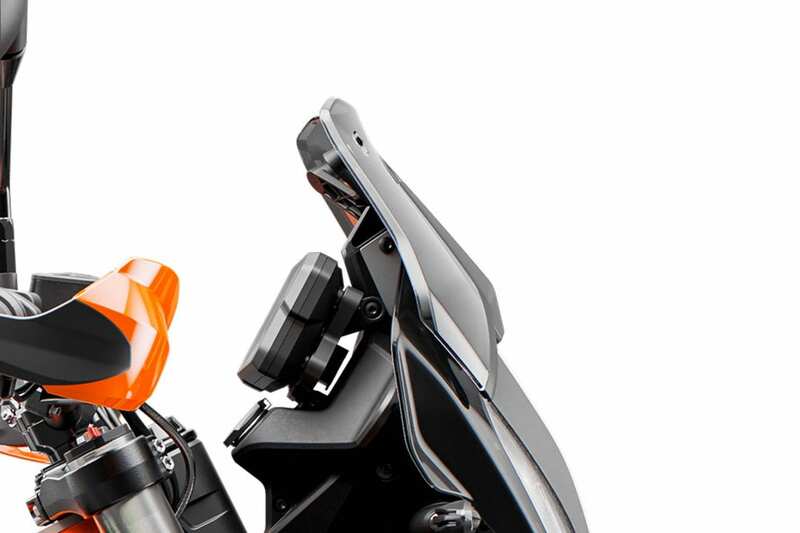 Gear shifting is very smooth, and by using the optional Quickshifter+, clutchless up and downshifts can be performed effortlessly. 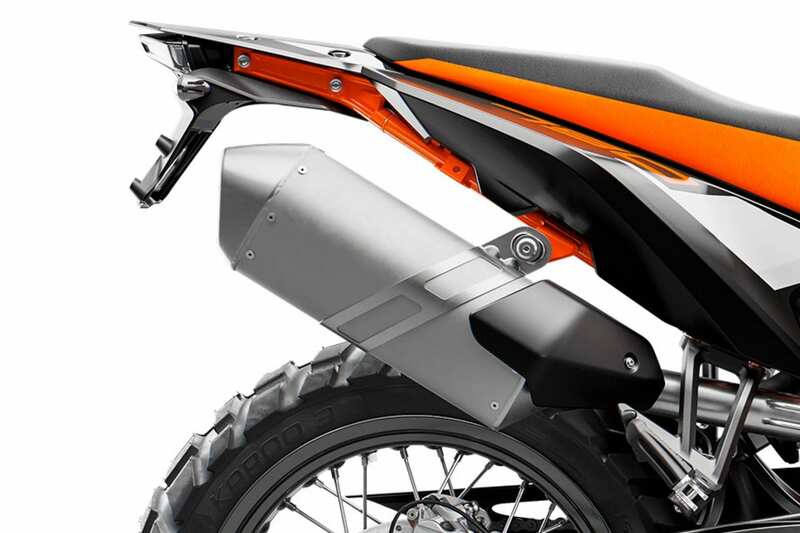 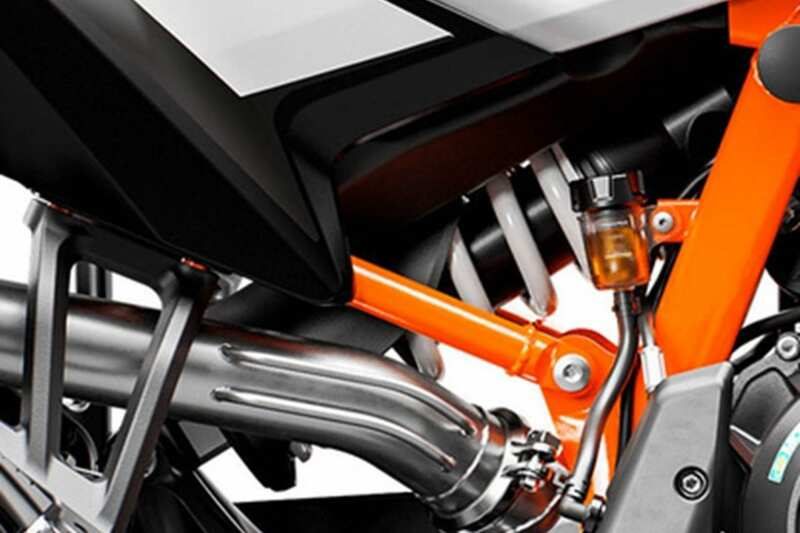 A redesigned stainless-steel exhaust system utilizes a mid-exhaust sound damper to centralize mass, which allows for a relatively small muffler, thereby maximizing the exhaust system’s ground clearance. 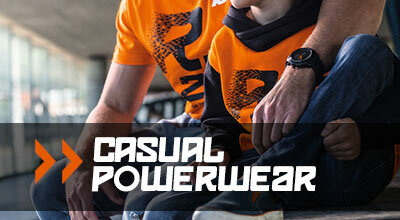 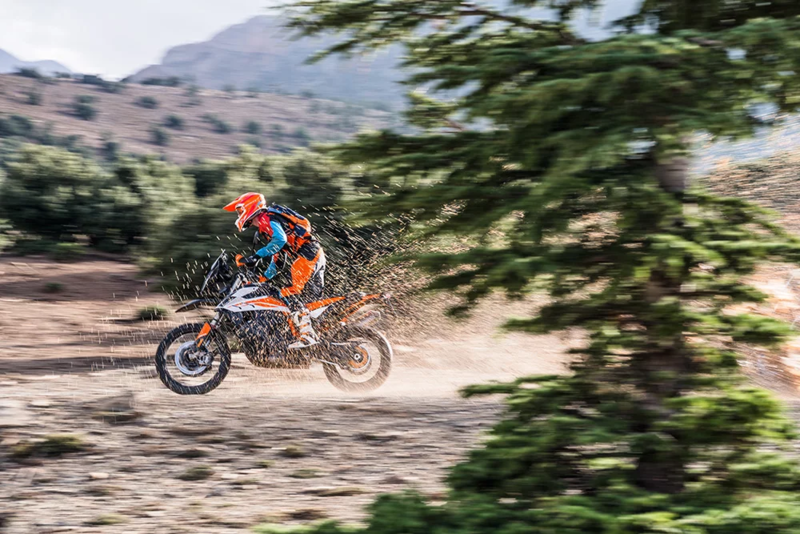 The sound – ready for extreme adventure! 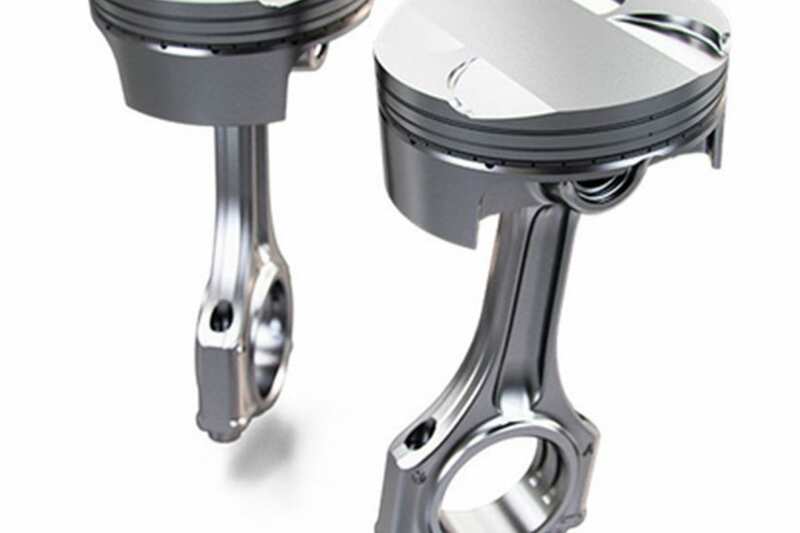 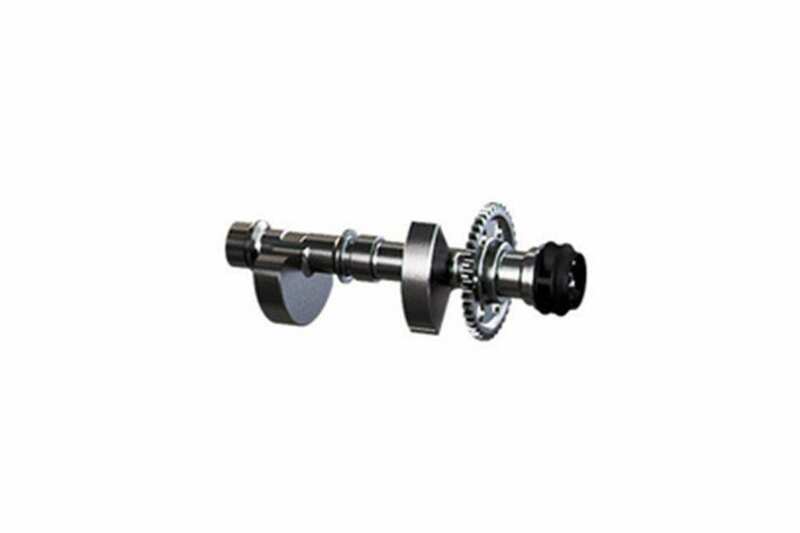 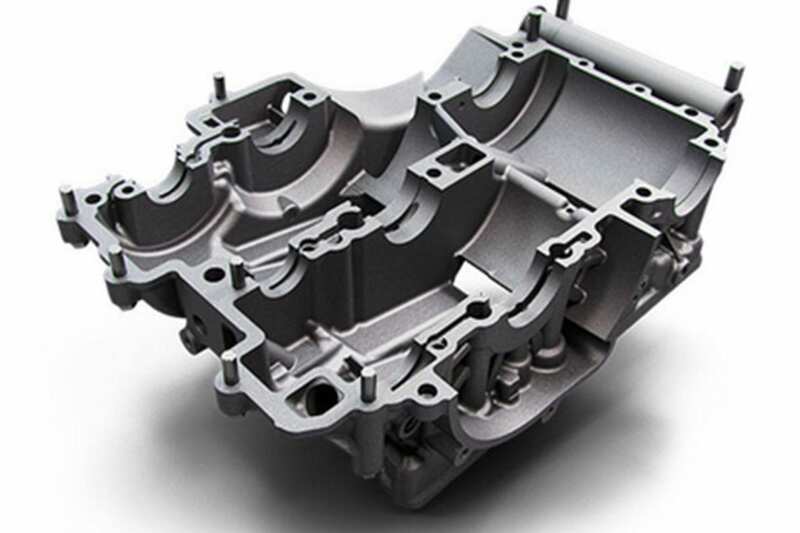 A forged one-piece crankshaft is held firmly in place by plain bearings with a 75-degree offset. 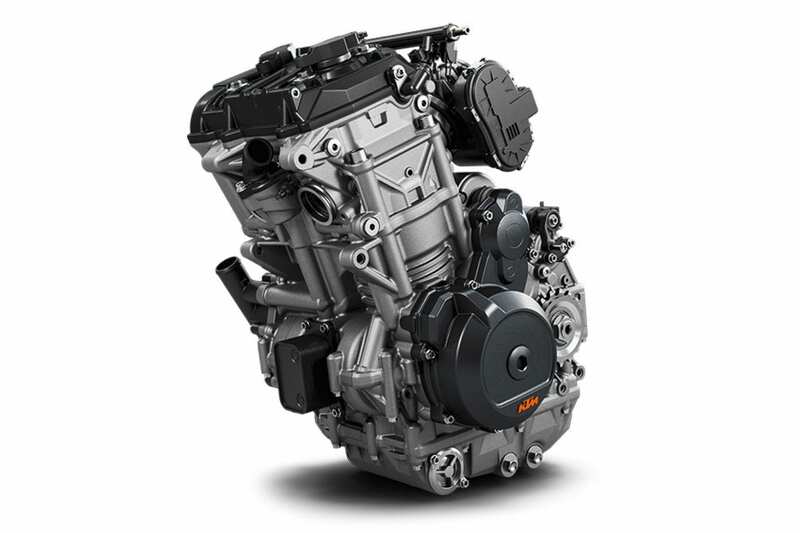 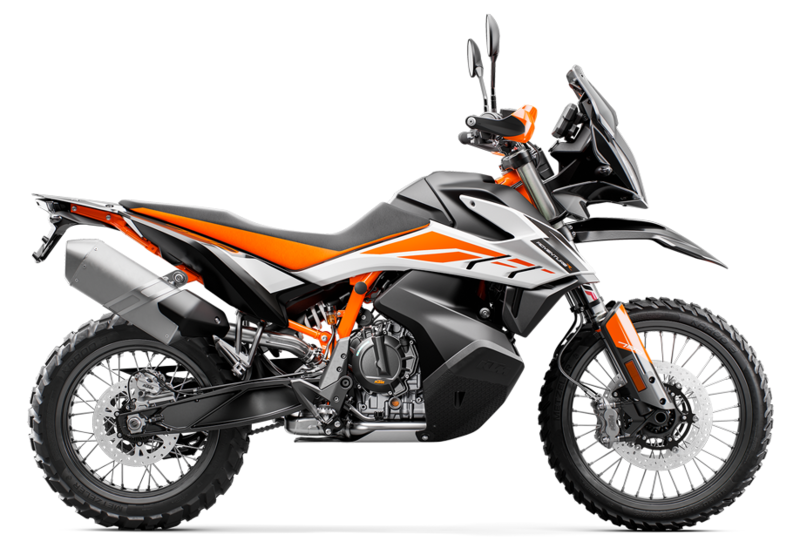 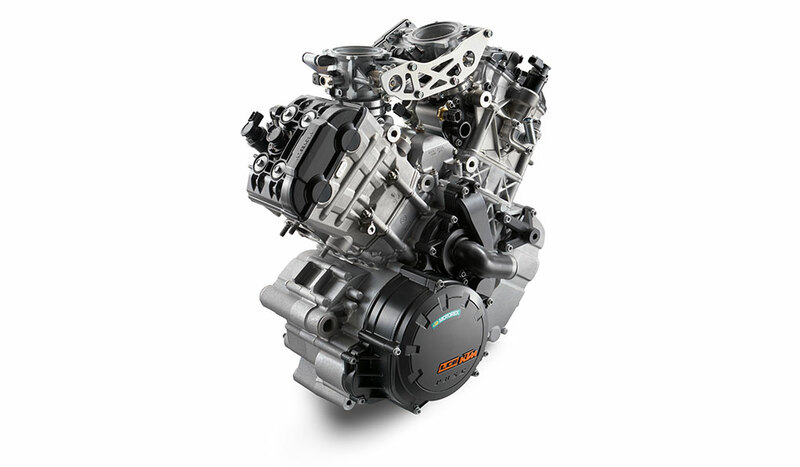 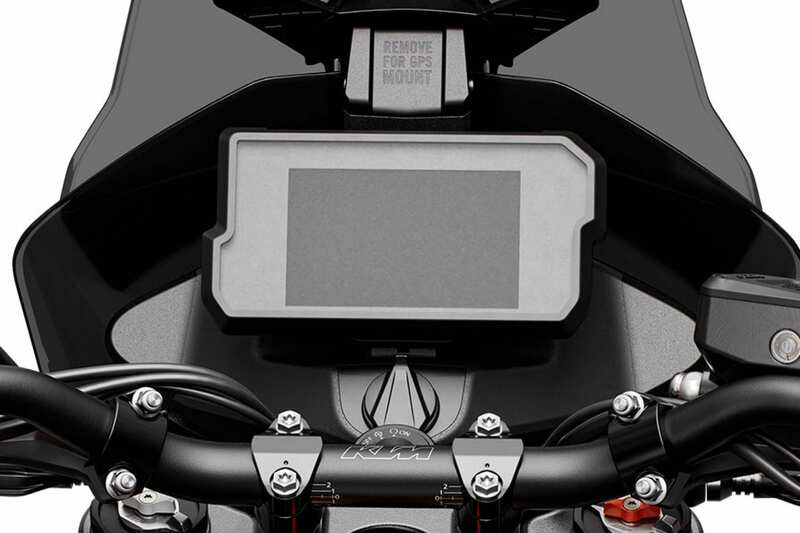 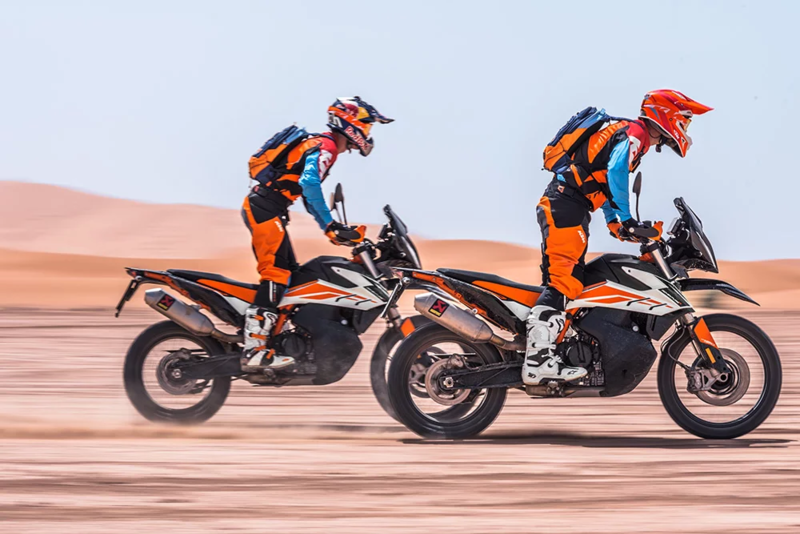 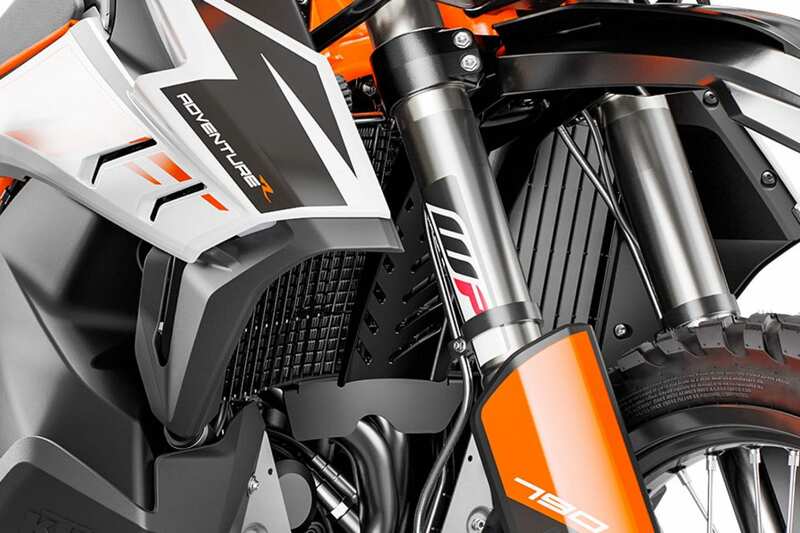 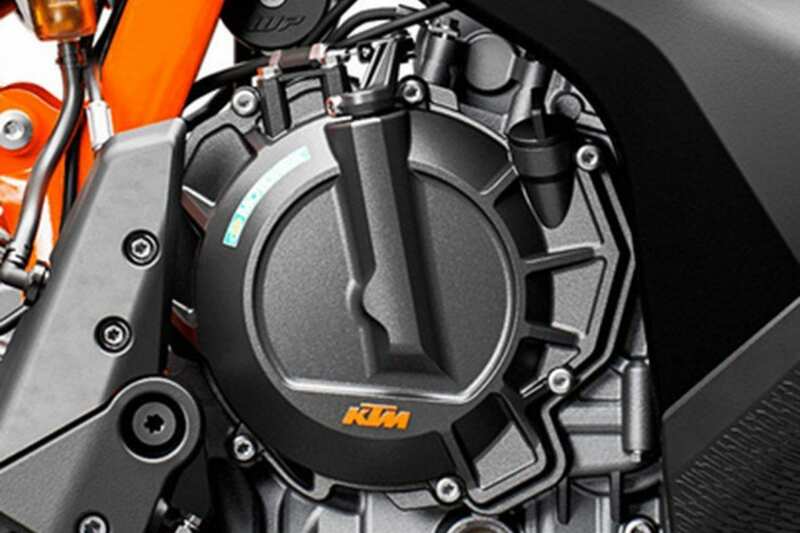 The 435-degree firing order produces a sound similar to that of the larger LC8 engine, which makes the KTM 790 ADVENTURE R feel like one of its V-twin adventure brothers when cracking the throttle open. 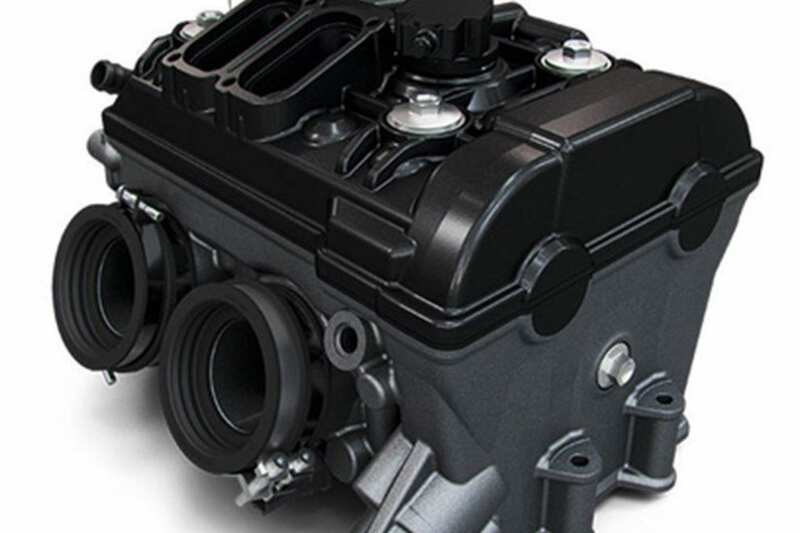 During extreme offroad exploration, it’s important the LC8c engine keeps its cool to ensure its advanced power and performance are maintained. 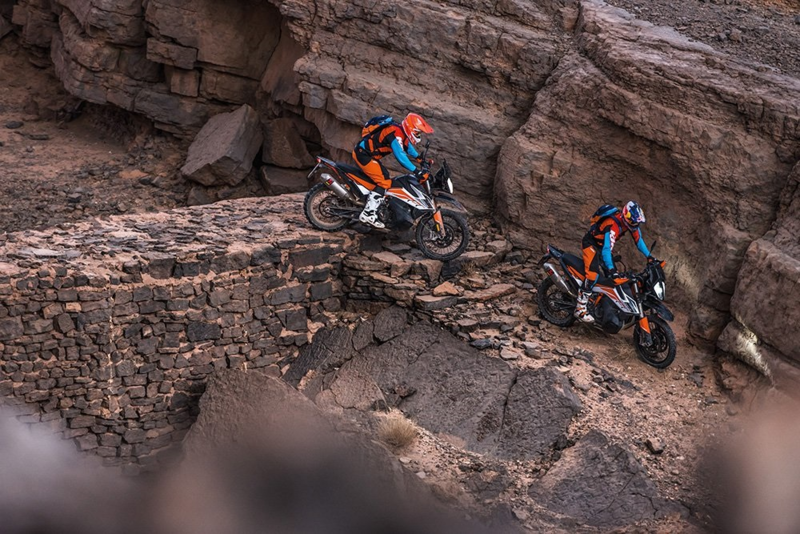 Thanks to the KTM 790 ADVENTURE R’s design and advanced cooling technology, riding for hours in hot conditions is possible. 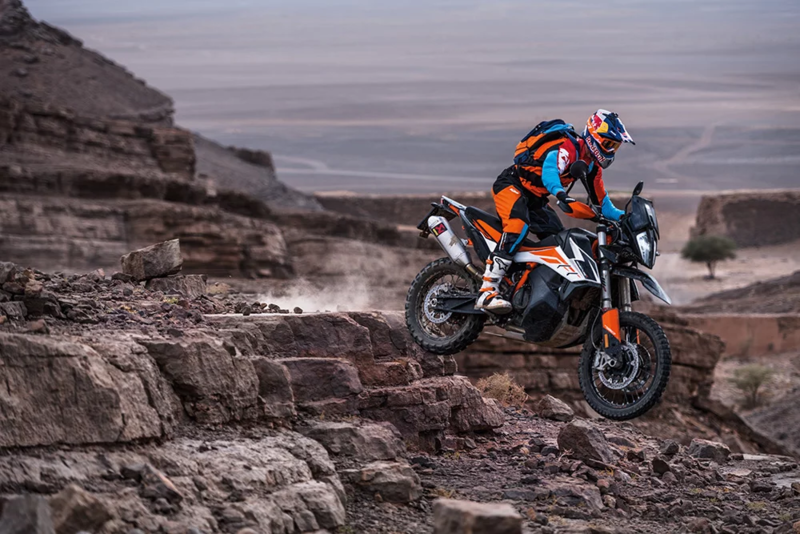 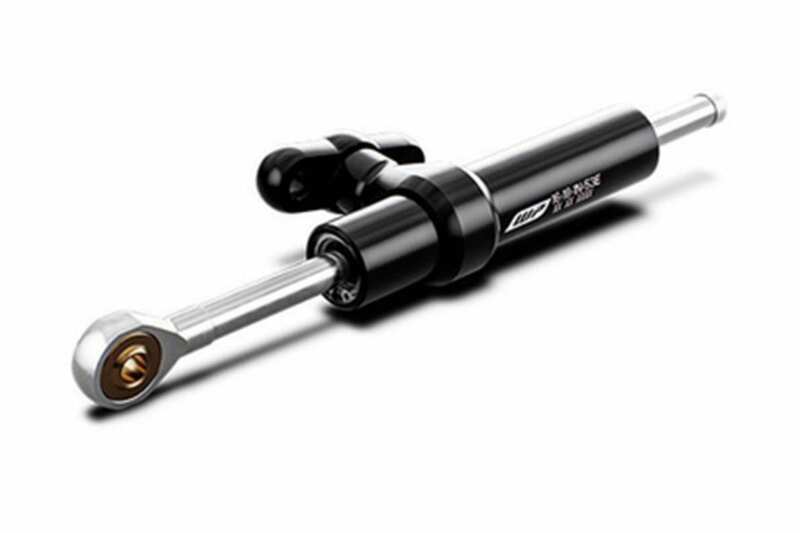 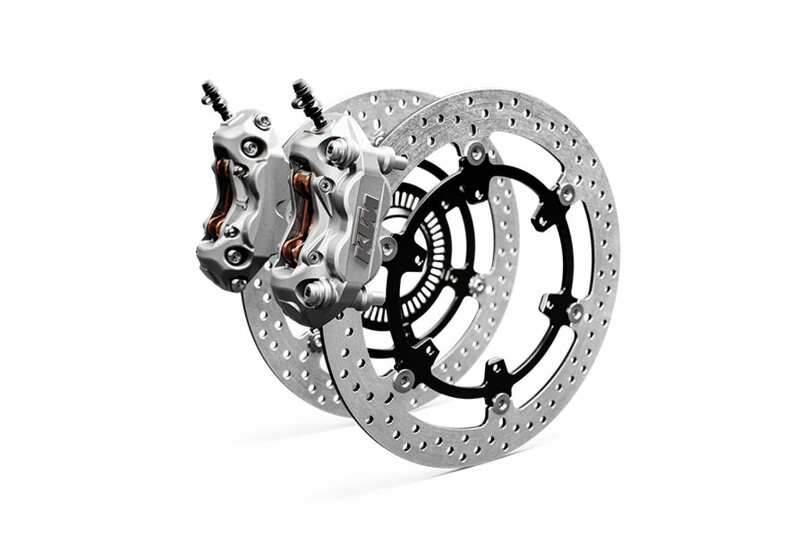 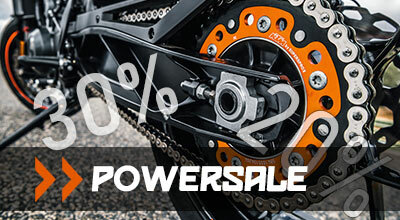 When punching out those big long days in the saddle – exploring remote locations across a variety of terrain – engine vibrations are kept to a minimum thanks to two balancer shafts, one in front of the crankshaft and the other in the cylinder head between the two camshafts. 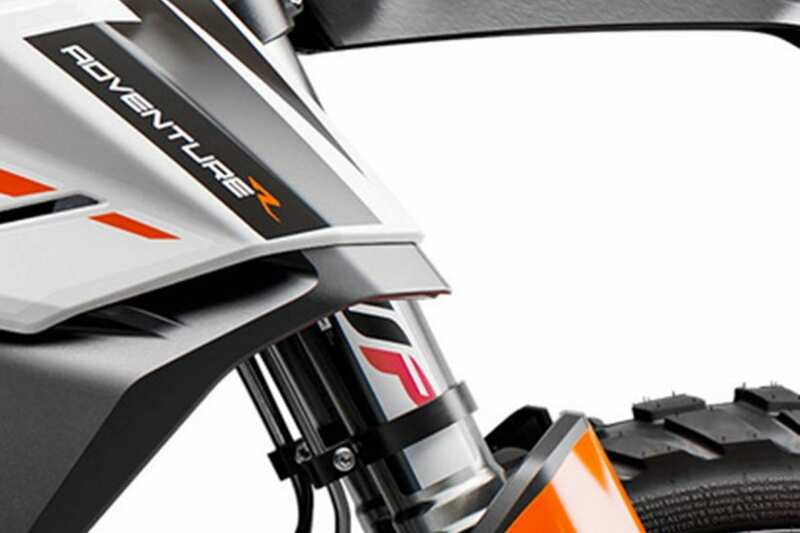 An aluminum-tapered handlebar allows maximum control while offering a comfortable riding position. 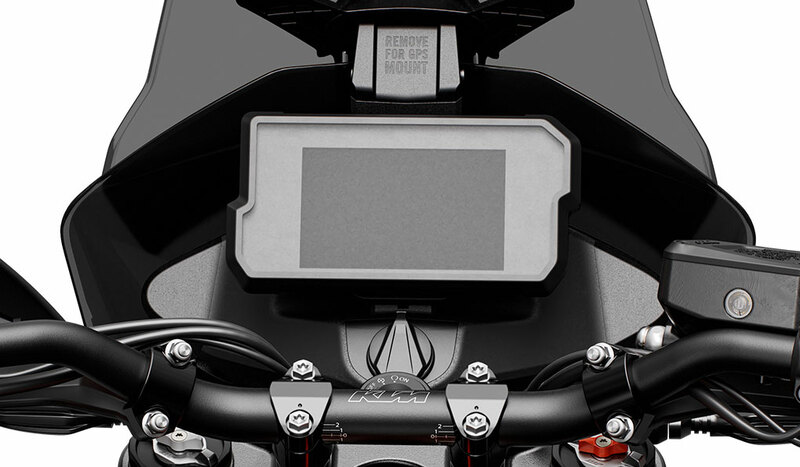 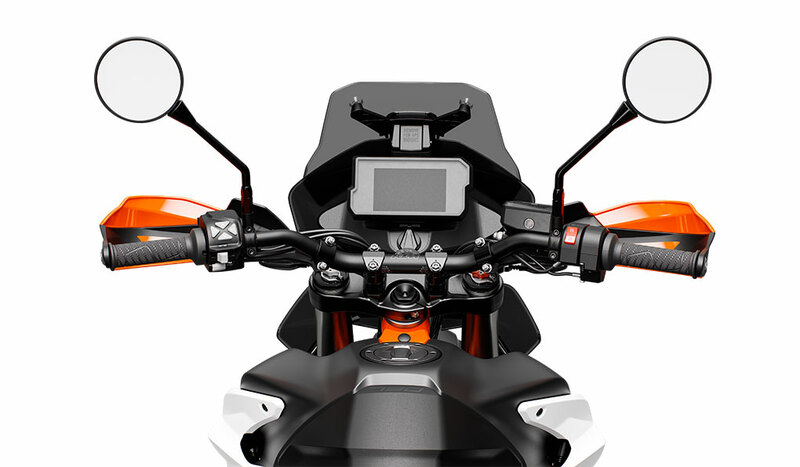 The handlebar can be mounted in six different positions, which results in 30 mm of adjustment range, allowing for a personal fit. 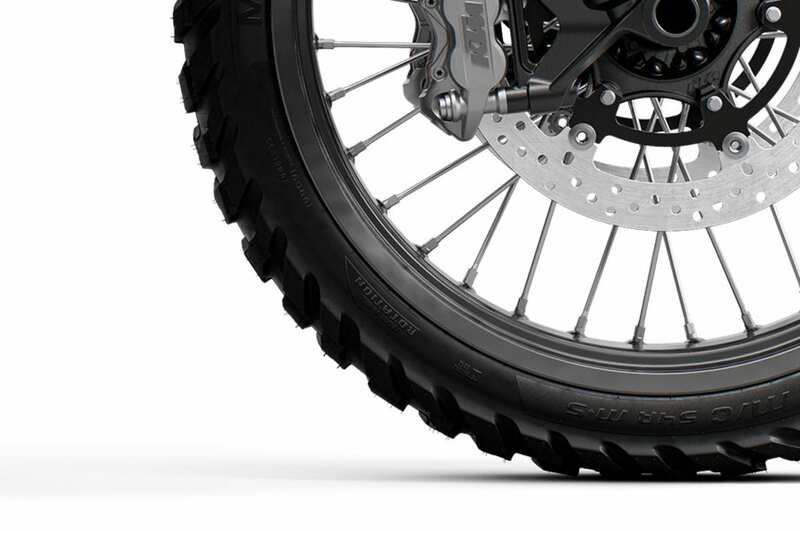 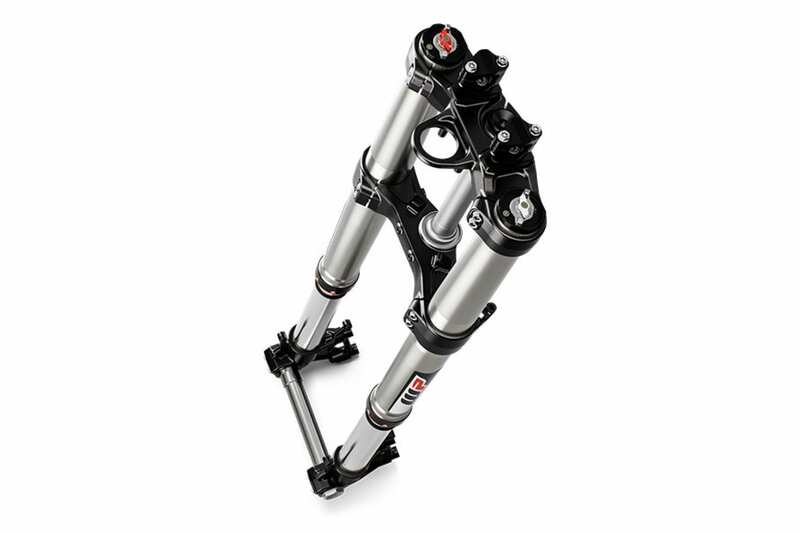 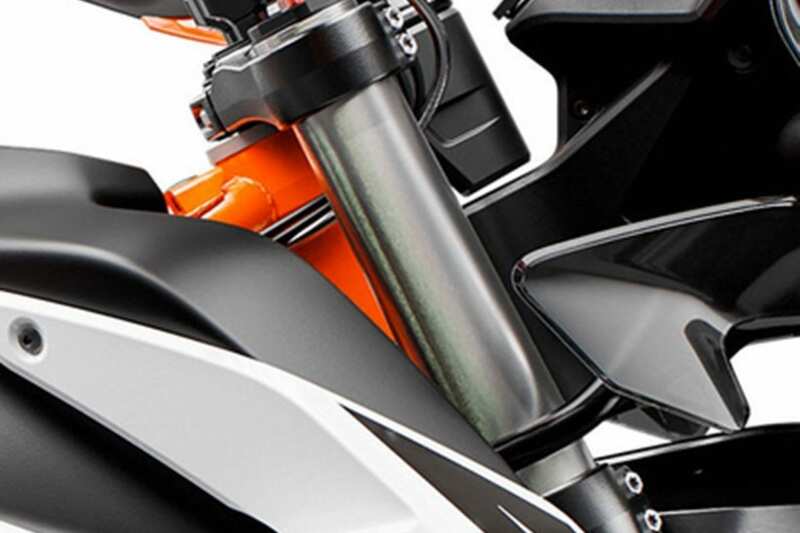 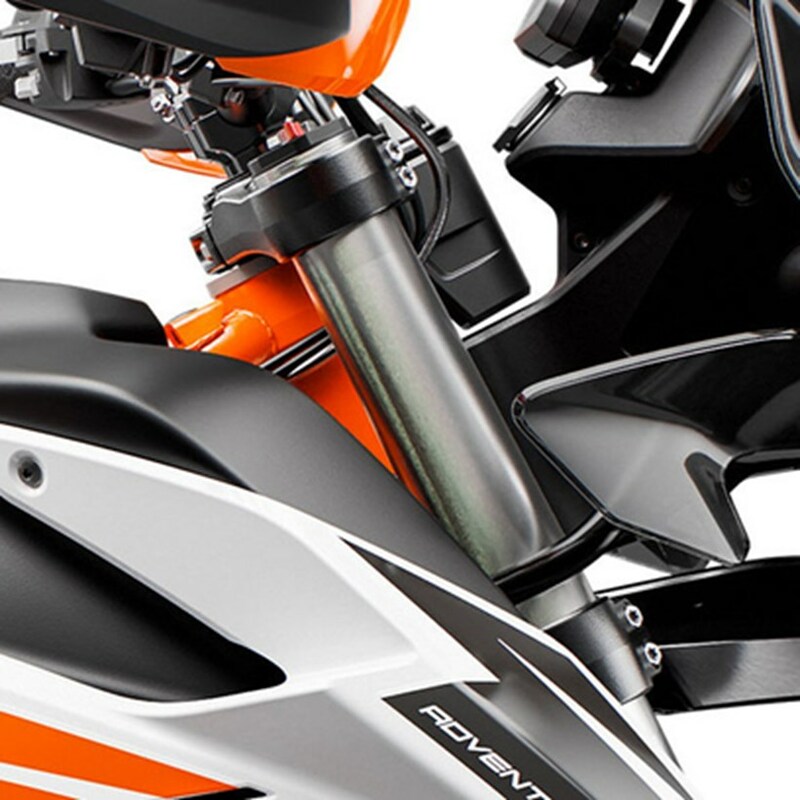 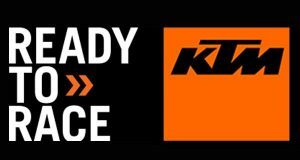 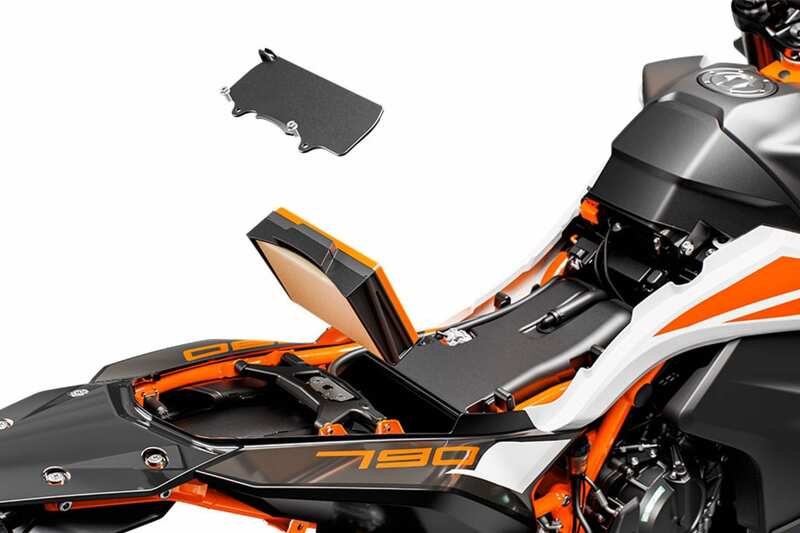 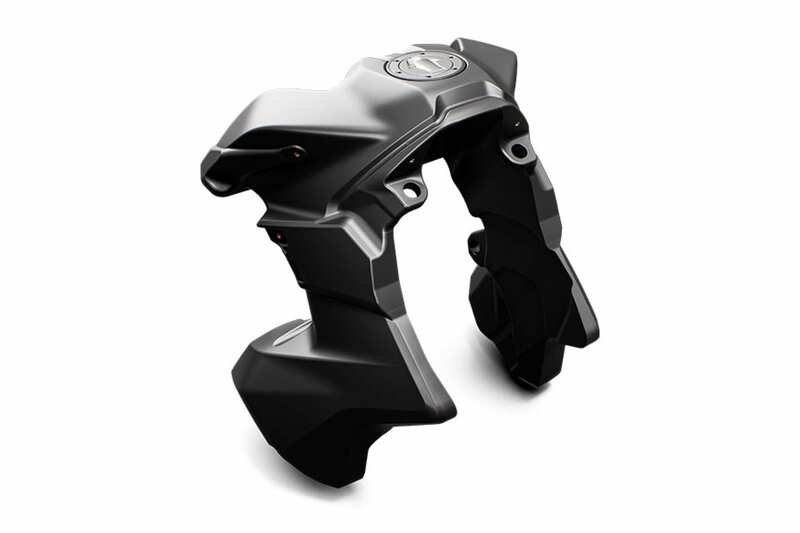 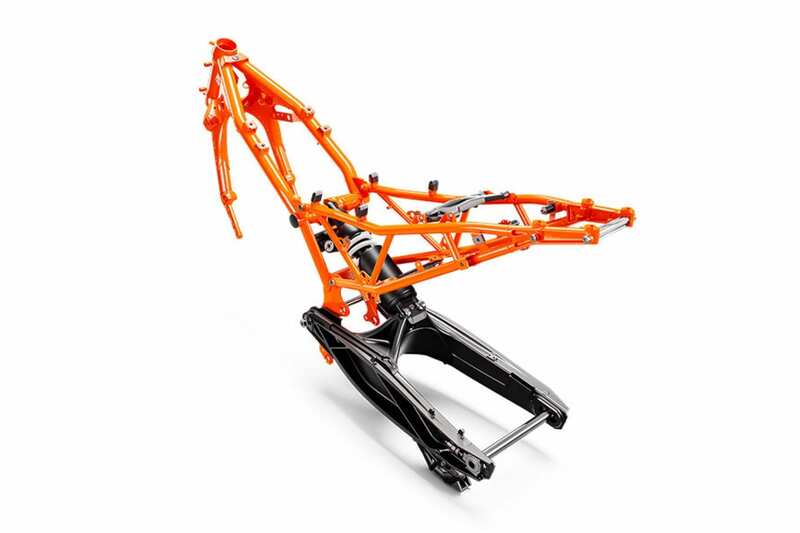 Whether it’s all-day riding while standing or sitting, the KTM 790 ADVENTURE R’s strong footpegs have been developed for superior ergonomics and to accommodate street or off-road boots in a wide range of conditions. 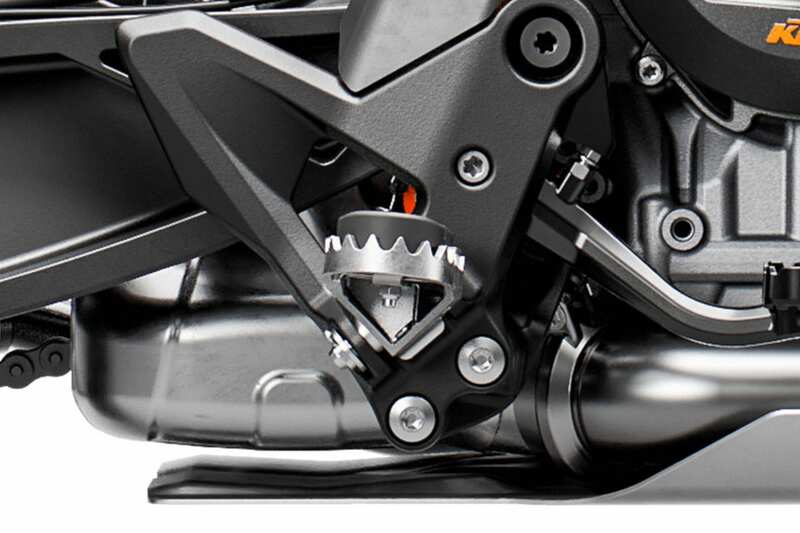 The footpegs have rubber inserts, which can be removed. 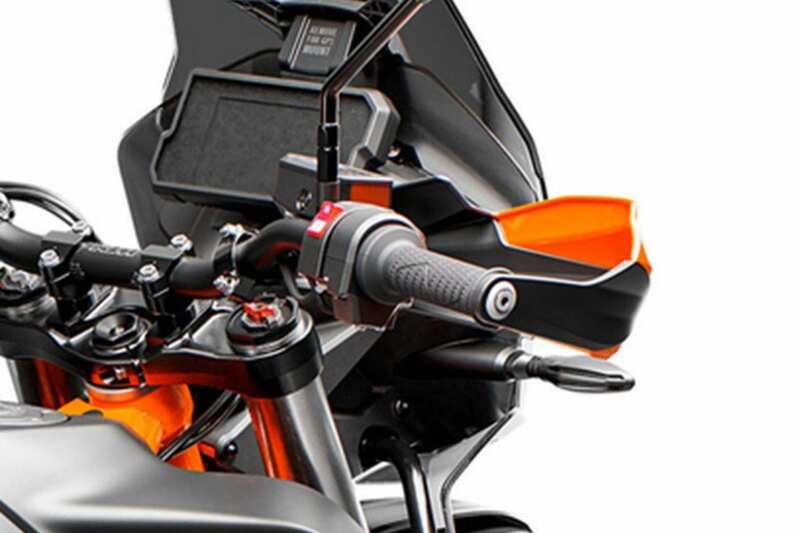 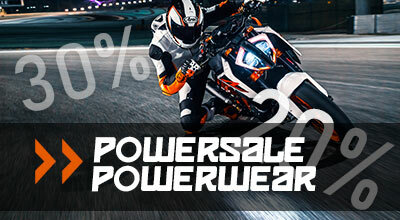 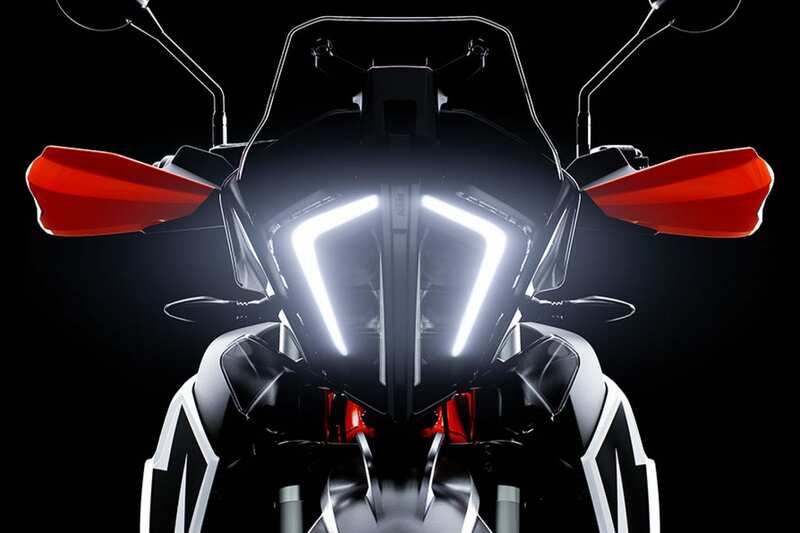 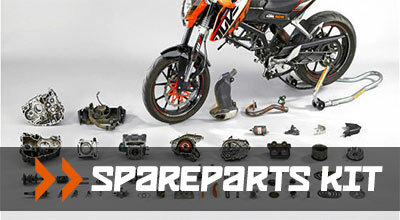 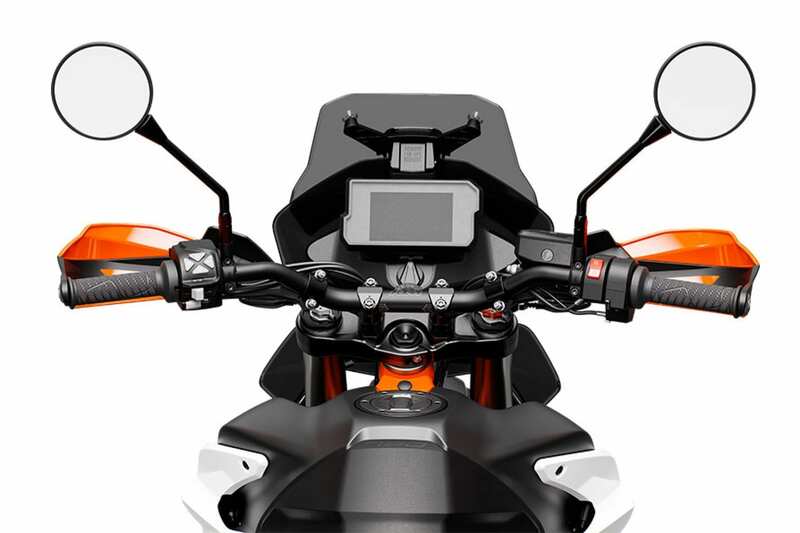 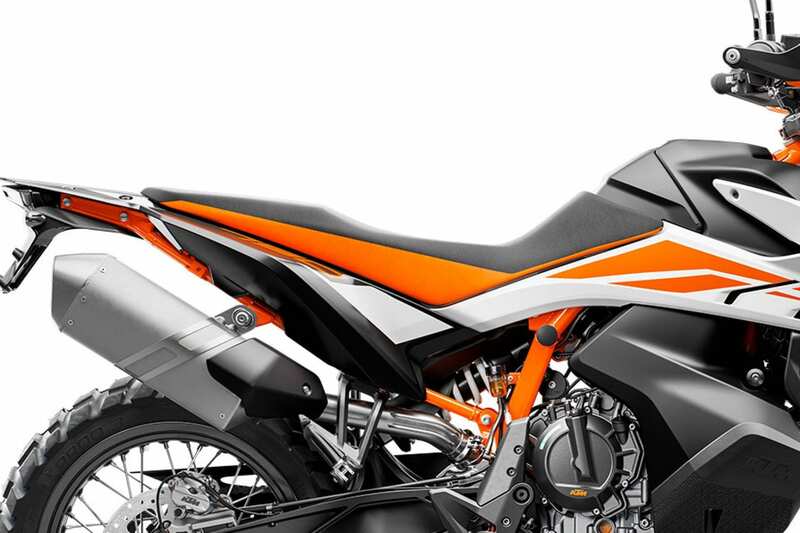 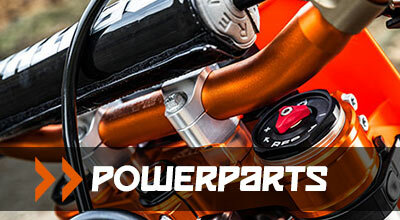 LED lights are used on the KTM 790 ADVENTURE R as the main headlight, taillight and indicators. 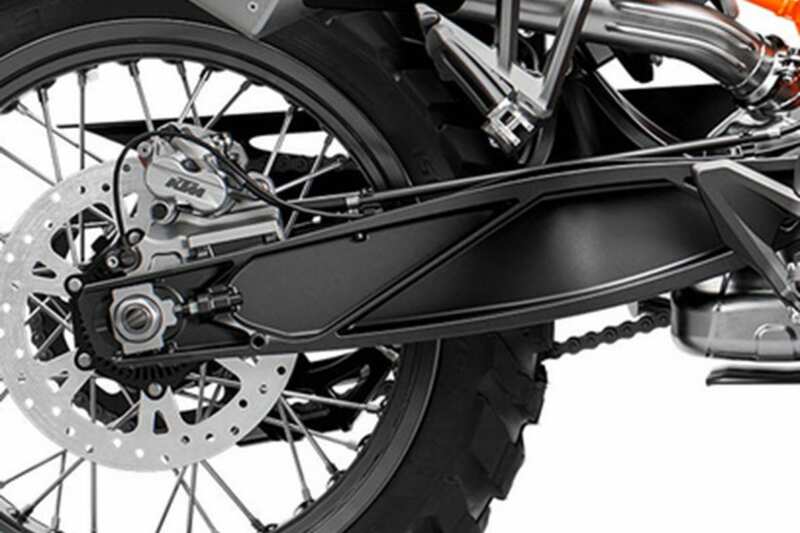 LED lights offer great illumination and visibility. 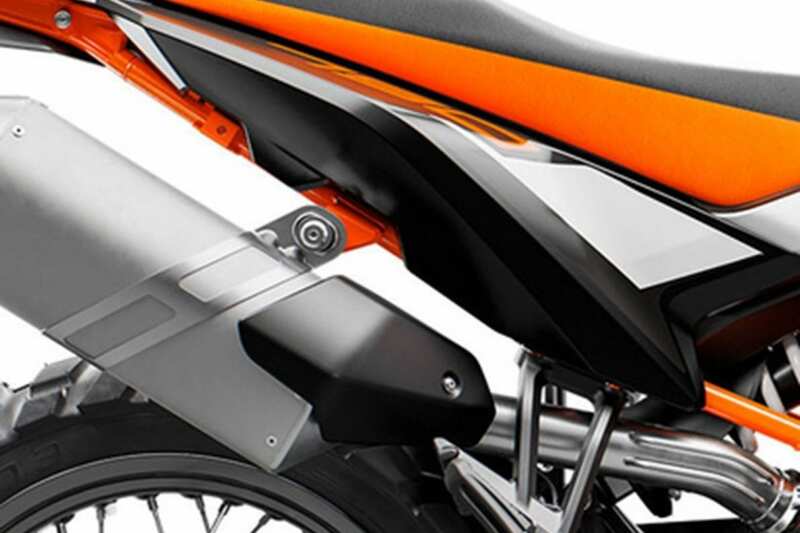 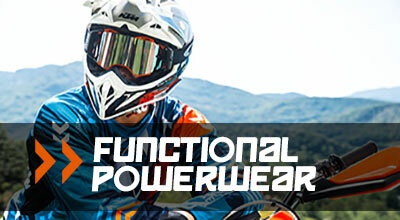 They are compact, so they help reduce the overall volume of the motorcycle.